In today’s episode, Kaisha and Kelsey meet up with the multi-talented author, Odysseus Yacalis. 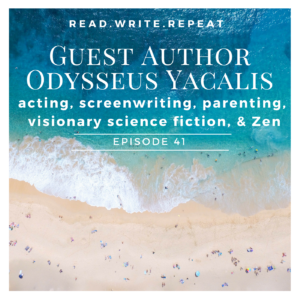 Odysseus discusses the differences between writing screenplays and novels, how acting impacted his writing process, and the importance of artistic expression. We dig into the visionary artistic movement and Odysseus chats about how the movement influences his novels. Odysseus talks about taking time off to raise his son and how past experiences have lead him to being the artist he is today. This episode is sure to inspire, give it a listen! July’s giveaway is the short story collection, Magic for Beginners, by Kelly Link. We explain more about how the giveaway works toward the end of the show notes. Our totally awesome intro was created by Mike Fraedrich. You can find more from Mike at mikefraedrich.com & brighttowers.com. The first one points to his Twitter, the second his music. Thanks, Mike!! What does writing mean to you? Why do you write? Does his photography (his photos are breathtaking!) impact his writing? How has studying Zen impacted his writing and his writing process? What did he think of Gore Vidal’s Kalki? He tells us a bit more about the visionary movement and how it has inspired he and his art. We absolutely love this quote from Odysseus. He tells us a little about how this manifests in his work and in his writing process. He tells us a little bit about the project taking form for him where he is creating a nurturing, not for profit retreat center for parents and children. 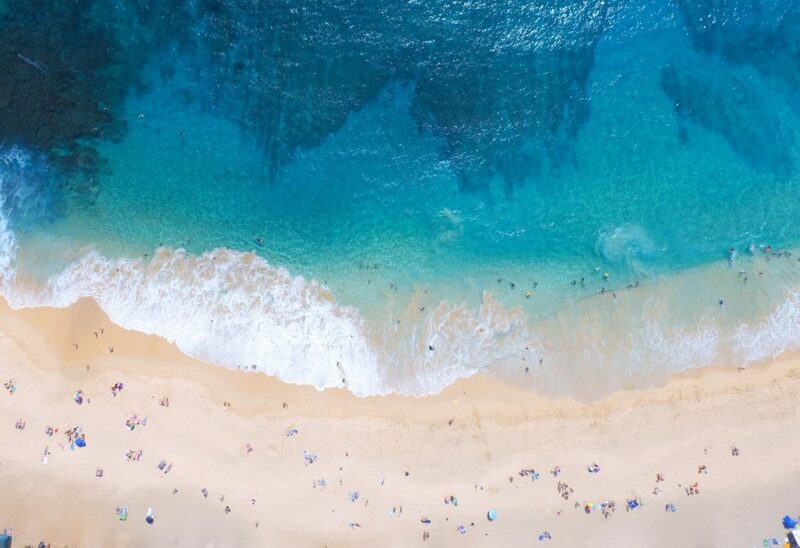 He tells us about his most recently published novel, The Reset Remixed. Be sure to read more about him and check out his proustish questionnaire! That brings us to the end of yet another read.write.repeat episode! We have to give a big shout out to this month’s guests, Odysseus Yacalis and Elizabeth Fournier, and always, a huge thanks to Mike Fraedrich for out intro music. You can find links to all of these lovely people in our show notes. Listeners, thanks so much for giving us your time. We’d love to hear from you and doing so enters you in our monthly giveaway. July’s giveaway is the short story collection, Magic for Beginners, by Kelly Link. To enter, simply follow us and tag us in a bookish photo or comment on Instagram (@readwriterepeat_podcast), Twitter (@therwrpodcast), or Facebook (@readwriterepeatpod), or leave us a comment on our show notes or one of our posts on any of our social media platforms! A winner will be drawn at random in August. If you love us, be sure to rate us and leave a review on iTunes, SoundCloud, or your preferred listening platform, so that others can find us. If anything sparked an idea for you, or you have thoughts about what we should discuss next, Let us know. 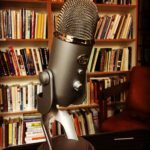 You can find ways to connect with us on our website, www.readwriterepeatpod.com. Don’t forget to check out all the links and bookish goodness in our show notes. Until next time, may your life be overflowing with all the books.